A total of 133 entries were received in Event #8: €25,500 No-Limit Hold'em Super High Roller almost tripling the prize pool. The World Series of Poker 2018 announced yet another familiar face who won the bracelet winner for the year. It was none other than Australia’s Michael Addamo who claimed the bracelet for the second time this year. The game went on until 6 in the morning with Addamo and Germany’s Christian Rudolph on the felts. The game went to and fro with a series of double-ups, ending in Addamo’s favor and he registered his best result in the live circuit for €848,702. Few months back, Addamo won Event #24: THE MARATHON - $2,620 No-Limit Hold'em for $653,581. Rudolph, on the other hand, managed to reach third WSOP final table in two years and missed his chance to win his maiden bracelet but collected €524,532 second place prize for his phenomenal performance. With this feat, Addamo has become the third Aussie to win multiple bracelets, also this will his boost cashes on the live circuit to over $3 million. Following the champs, Hanh Tran and Timur Margolin, Addamo has entered their league and has become the third player to win a WSOP bracelet in both Rozvadov and Las Vegas this year. 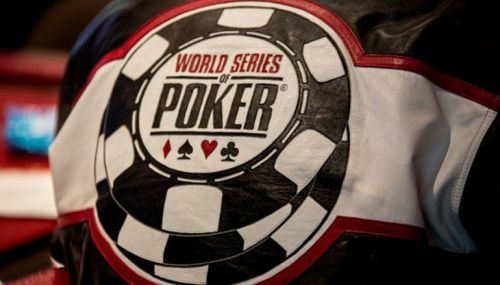 Among the early birds who left the felts were Michael Soyza, Adrian Mateos, Christoph Vogelsang, and 2013 WSOP Main Event Champion Ryan Reiss. However, Reiss did win at €10,500 Turbo High Roller in a heads-up play against Ognjen Sekularac and bagged €178,582. Going ahead in the game were famous faces of the European and International High Roller circuit were Johannes Becker, David Peters, Chris Ferguson, former WSOP bracelet winner Igor Kurganov and Niall Farrell. However, none of them made it till the money bubble. Farrell got busted playing against Fabrizio Gonzalez, just before the three table re-draw. Kristen Bicknell, two-time WSOP bracelet winner was dismissed by Rainer Kempe. Bicknell held king-nine against Kempe’s pocket jacks. The game later saw the dismissal of Pavel Binar, Sylvain Loosli, Gianluca Speranza, and Czech Republic’s Martin Kabrhel who went home securing 16th position. Joni Jouhkimainen could not manage to go further, playing against Mikita Badziakousk. Apart from them, Vladimir Troyanovskiy, Jean-Noel Thorel, Kempe and Asaf Berman soon hit the rails. Timothy Adams missed his shot at winning the WSOP bracelet playing against Matthias Eibinger and Pollak. Adams had pocket kings, Eibinger had queen-jack whereas Pollak held pocket queens. The last queen on the flop invited Adams to the rails. After simultaneous knockouts of two players, Pollak sat with the highest chip count, almost double of Rudolph and the remaining players had very similar chip counts. Minag Loeser was the first one to leave when he decided to open-shove against Winfred Yu. Loeser had king-eight whereas Yu held ace-eight. James Romero was the next to hit the rails, playing against Rudolph. Romero, at risk, went all-in with ace-ten against Rudolph’s ace-queen and decided his fate. The game got tensed with two simultaneous eliminations. Yu was defeated by Rudolph having a straight draw against Rudolph’s pocket nine. On the other hand, four times WSOP bracelet winner, Dominik Nitsche was sent home by his fellow countryman Rudolph. After a long haul of testing patience and endurance, fortune favored Addamo when he defeated Pollak with a full house. Soon after he dismissed Badziakouski with ace-trey against ace-five. A few hands later, Pollak bit the dust playing with ace-queen against Addamo’s pocket sevens to secure the runner-up position in a nearly even stacked battle.